If you have a lot of questions about bail bonds, you’re in luck because Lucky Lucero’s Bail Bonds has a complete FAQs guide for you to read. You can also speak with a licensed bondsman when you call our family-owned and operated company at 303-659-2245. Lucky Lucero’s Bail Bonds has been around since 1982. Our reputation speaks for itself. We’ll be here today, tomorrow, and down the road when you need us most. We won’t be out of business or leave you hanging. Don’t get unlucky and call the wrong bondsman; get lucky and call Lucky Lucero’s Bail Bonds! You can also visit us at our office to talk about bail bonds in person. Walk-ins are always welcome and FREE parking is offered. Visit us at 636 E Bridge Street. Do I Have a Right to Release on Bail? Yes, for most offenses except murder and certain violent felonies. What Are the Most Common Types of Bail Bonds? All bail bonds are appearance bonds. Appearance bonds can be posted by a personal bail bonding agent. Personal recognizance bonds and property bonds are obtained from a court. A personal recognizance bond, when authorized by a court, permits release from custody on the defendant’s personal recognizance, which is a promise to appear as required by a court. It is not necessary to deposit money with the court. Failure to appear will result in the issuance of an arrest warrant. A property bond may only be obtained from a court. If the court permits, a defendant may be allowed to deposit cash or other valuable property to be held by the clerk as a guarantee that the defendant will appear as required. Some jurisdictions allow property bonds guaranteed by a pledge of unencumbered equity in Colorado real estate. Other courts do not allow real estate to be used as a property bond. Requirements and procedures for property bonds vary between jurisdictions. A bail bonding agent posts a defendant’s appearance bond and guarantees that the defendant will appear whenever required. Bail bonding agents must be licensed by the state and have an appointment with an insurance company or be a qualified cash bonding agent. The defendant must also agree to meet certain requirements known as “conditions.” The most important condition is that the defendant appears at all hearings. Failure to appear may result in arrest and forfeiture of the bond amount. Failure to appear is a separate criminal offense that can result in imprisonment from 6 months to 1 year and the loss of eligibility for probation or a suspended sentence. Other standard conditions prohibit the defendant from committing a crime or leaving Colorado while released on bail. The defendant must acknowledge the existence of a mandatory restraining order that prohibits contact with witnesses or the alleged victim. Defendants are commonly required to immediately notify the court of any change in residence or mailing address. The court may issue a warrant for your arrest, revoke your bond or increase the amount of your bond. You may also be charged with a completely new crime, known as “failure to appear.” The bail bond may be forfeited and the property or money deposited as collateral for the bail bond may be lost. It is important for you to act quickly. If you posted a bond with a bail bonding agent, contact the agent immediately. The bail bonding agent may provide you with a “consent of surety.” You must take the consent of surety to the court clerk and ask for a new court date. If you did not post a bond through a bonding agent, then go to the court clerk as soon as possible and make arrangements for a new court date. In either case, a warrant was probably issued for your arrest for failure to appear. What Is a Consent of Surety? If you have failed to appear in court when required, the bond may be void unless you obtain a consent. If you are convicted, plead guilty, nolo contendere, or there is an order of deferred prosecution or deferred judgment, your bond will automatically expire unless you obtain a consent of surety for the appearance bond to continue until your sentencing date. The Bonding Agent Gave Me a Consent of Surety but Charged a Fee to Stay on My Bond. Is This Legal? No. Bonding agents are not allowed to charge a consent fee to stay on a bail bond. I Co-Signed for a Bail Bond and the Defendant Missed Court. Do I Automatically Have to Pay the Amount of the Bond to the Bail Bonding Agent? Courts generally allow a short period of time before judgment on the bond is entered. It is in your best interest to immediately contact the bail bonding agent and assist in having the defendant appear in court before judgment is entered. If the bail bonding agent has to locate and arrest the defendant, you may be responsible for related fees and expenses. Surrendering the defendant may keep you from having to pay the full amount of a forfeited bond. Is a Bail Bonding Agent Authorized to Arrest a Defendant? Yes. The defendant is obligated by the bail agreement to appear when required by the court. The bail bonding agent is authorized by contract to use reasonable force to apprehend and return the defendant to custody. Does the Bail Bonding Agent Have the Power to Revoke My Bond? Yes. The bail bonding agent may revoke a bond for almost any reason. Can I Get My Money Back if the Bond Is Revoked by My Agent? Maybe. Only the court has the authority to order the bonding agent to return the premium. You will need to ask the court to order the refund of premium. Has a Court Order Been Issued to Protect Victims and Witnesses? Yes. There is an automatic “mandatory restraining order” that is in effect from when the defendant is advised of rights at arraignment to the final disposition of any appeal. The defendant is automatically restrained from harassing, molesting, intimidating, retaliating against, or tampering with any witness to or victim of the acts charged. Violation of this mandatory restraining order can result in separate criminal charges. Can I Leave Colorado While I Am Out on Bail? No, unless you receive permission from the court and the bonding agent. It depends on the terms of your bond set by the court and on your agreement with the bonding agent. You will probably need the court’s approval and a consent of surety. Do I Have to Notify the Court of a Change in My Address? Yes. Most appearance bond forms contain a standard condition that requires you to notify the court immediately if you change your residence or address. Collateral is a deposit of money or property to protect the bail bonding agent from loss if the defendant fails to appear and the bond is forfeited. Collateral can come from the defendant, or from friends and family, who are known as “co-signers” or “indemnitors.” A written contract must be signed when the collateral is taken and the bail bonding agent must provide a receipt. The bail bonding agent has a right to use collateral to pay forfeitures and the expenses of apprehending and returning the defendant to custody. You must go to the court where the bond was posted and get a “bond release” or “certificate of discharge” which must be given to the bail bonding agent. The bonding agent then has a limited period of time to return your collateral. Can I Be Charged for Storage of My Collateral? Yes, but you can only be charged if the collateral was stored in a public storage facility. You are only liable for the actual storage fees charged to the bonding agent. The bonding agent is required to inform you of the storage fees you will be charged at the time the contract is negotiated. Remember, the agent must give you a receipt for the collateral. Do Bonding Agents Accept Credit Cards? Yes. Bonding agents commonly accept credit cards. You may be able to charge the premium for your appearance bond and all necessary collateral on your credit card. If I Pay Premium or Collateral Using My Credit Card, Can the Agent Charge an Extra Service Fee? No. Bail bonding agents may not charge extra service fees for using a credit card. My Collateral Was Damaged by the Bail Bonding Agent. What Should I Do? Bail bonding agents are required to describe the condition of the collateral when it was taken on the collateral receipt. If your collateral is damaged, first inform the bonding agent and then the insurance company on the bond. If you are not satisfied with their response, call the Division of Insurance. How Can I Make Installment Premium Payments? The bonding agent may or may not negotiate a premium installment payment plan with you. If a plan is arranged it must be in writing and must state the amount to be paid and when the payments are due. I Am Being Charged Bounty Hunting Fees. Is This Legal? Maybe. Read the bail agreement carefully to see what bounty hunting fee(s) you have agreed to pay. It is always a good idea to ask for a statement of the costs incurred. How Do I Get a Receipt or Copy of My Bail Contract? Contact the bonding agent and request copies of the documents you need. If you are unable to get copies, call the insurance company on your bond. If you still do not receive the documents, call the Division of Insurance. I Cannot Find the Bonding Agent Who Wrote My Bond. How Can I Contact the Agent? If you do not have the agent’s name, you must contact the court clerk who can get the information from the appearance bond. How Long Does the Bonding Agent Have to Write My Bond? The bond must be posted within 24 hours of receipt of full payment or a signed contract for payment. If the bond is not posted, all money, premium, and collateral must be refunded, and all liens released within 48 hours of receipt. The Bail Bonding Agent Took My Money but Didn’t Post the Bond. What Should I Do? Contact the bail bonding agent and the insurance company, and request the return of your money. If you do not receive a prompt refund, contact the Division of Insurance. The Bonding Agent Posted Bond, but the Defendant Did Not Get Out of Jail. What Can I Do? If the bond was posted, the bonding agent acted properly. However, another court or law enforcement agency may have a “hold” of some type on the defendant. Only the court has the authority to order the bonding agent to return the premium. You will need to present your request to the court and request the court to consider a refund of premium. What Is the Cost for a Bail Bond Posted by a Bonding Agent? The bonding agent may charge up to 10% of the amount of the bond. For example, if your bond amount is $1,000 the bonding agent may charge you a fee (“premium”) of up to $100 plus actual filing fees charged by the jail. How Much Collateral Can the Bonding Agent Take? There is no limit. A bonding agent may take whatever collateral is believed necessary to cover the bond. The bonding agent may only keep the value of the collateral necessary to pay the defaulted bond, costs and bounty hunting fees. The balance of the collateral must be returned. The Bonding Agent Asked Me to Sign a Receipt That Says My Collateral Has Been Returned to Me When It Has Not. What Should I Do? If you are asked to sign any receipt for money or collateral you did not receive, you should refuse to sign the document. Ethical bonding agents would never ask you to sign such a release or receipt. The Bonding Agent Took the Full Amount of the Bond From Me in Cash. Is the Agent Required to Give the Money to the Court? No. A bail bonding agent does not deposit cash with the court. The bonding agent files an appearance bond and attaches a power of attorney obtained from the insurance company appointing the agent. The bonding agent holds the cash as collateral in the event the defendant fails to appear. A Bonding Agent Contacted Me to Write My Bond. Is This Legal? Bail bonding agents are prohibited from soliciting bail bonds in or around a place where prisoners are confined, arraigned or in custody. A bonding agent may not contact a defendant in custody to solicit business. It is proper for a defendant or co-signer to contact the bonding agent. It is not uncommon for a jailed defendant to have the bail agent call a co-signer to make arrangements for bail. As additional security for the bond, a bail bonding agent may require someone else to guarantee the bond by acting as a co-signer. Like the defendant, a co-signer is financially responsible for the full value of the bond and may also be required to provide the bonding agent with some type of collateral or security. What Is the Responsibility of the Co-Signer if the Defendant Fails to Appear? The co-signer is responsible for paying the bail bonding agent the amount of the bond and any reasonable bounty hunting cost incurred by the bonding agent. If the defendant is found, the co-signer is responsible for whatever fees are incurred to apprehend the defendant as agreed to at the time the bond was negotiated. If the defendant cannot be located and the court orders the bonding agent to pay the amount of the bond to the court, the co-signer is responsible for the payment of such money to satisfy the court. Is It Improper for a Bonding Agent to Contact Co-Signers? No. A bail bonding agent may attempt to collect any monies owed by a co-signer on the bond. However, the bonding agent may not threaten to arrest or harm the co-signer. If you are clearly threatened with bodily harm by a bonding agent, call the Division of Insurance and your local police department. What Is the Minimum Age to Co-Sign for a Bond? In the state of Colorado, you usually must be 18 years old to sign a contract. How Do I Get Help if My Questions Are Not Answered? Contact the bonding agent, the insurance company or the Division of Insurance. I Have a Lien on My Property. How Do I Get It Released? Contact the bonding agent who placed the lien on the property. If the lien is in the name of the insurance company on the bond, you must contact the insurance company. You will need to provide a bond release, or certificate of discharge, to prove that there is no more liability on the bond. This Guide Is Not Legal Advice! Legal advice can only be provided by an attorney. Do not rely on this publication for legal advice. Court clerks, sheriffs, police officers, and bail agents are not authorized to give legal advice. 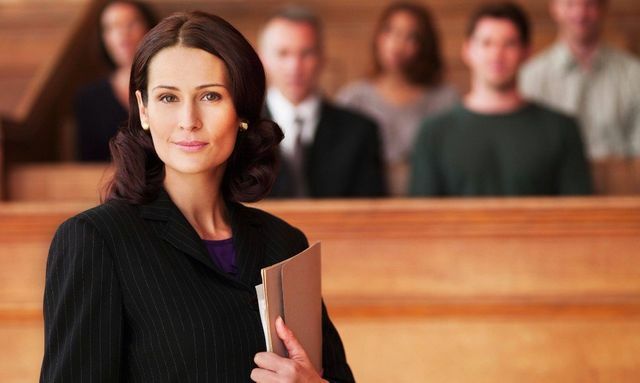 If you require legal advice, you should contact an attorney. 1.) Read all agreements carefully before you sign. 2.) If you don’t understand something, ask for an explanation. 3.) Always get a receipt.